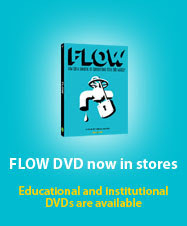 This is an INTENSE & POWERFUL MOVIE about our water supply, called... 'Flow: For the Love of Water'. WATCH IT!! http://www.flowthefilm.com and then take action athttp://www.charitywater.org !!! A Free Download of my song Shiva Om from Love Peace Chant is available this week, May 5th - 12th, at: www.omstream.com under 'Free Music'. Enjoy!! !